This is a sketch to illustrate my personality when it comes to food. I might not look like this in reality, but underneath the surface it's not too far off. I sketched it on a post-it patch and originally put it on a colleague's empty food box together with another post-it saying "Thx!" after she asked me if I wanted to eat it, since she had forgotten it in the work fridge. 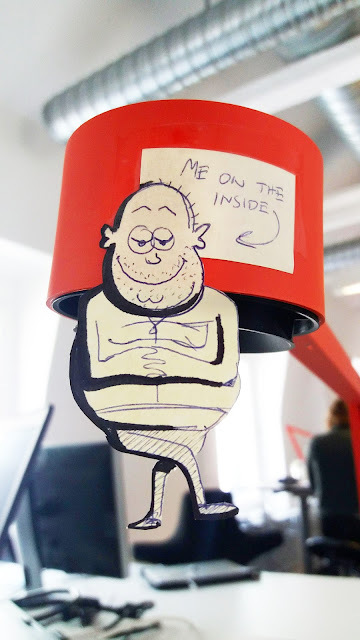 But then I kind of fell in love with this overweight version of me and now I keep him taped to my desktop lamp at my workplace.